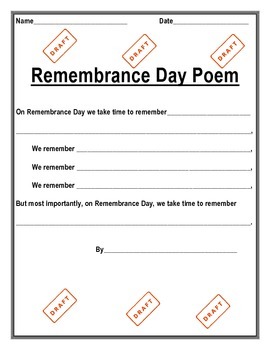 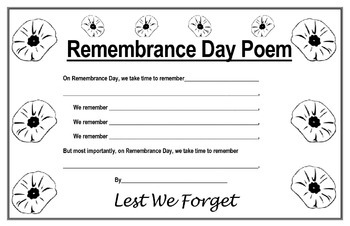 I like to read a number of stories that help students connect to and understand the importance of Remembrance Day. 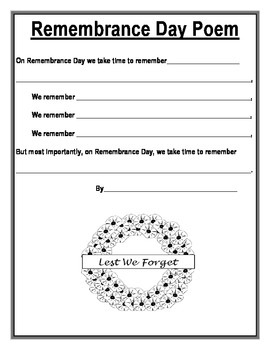 After reading the stories and discussing Remembrance Day, I like students to demonstrate their learning. 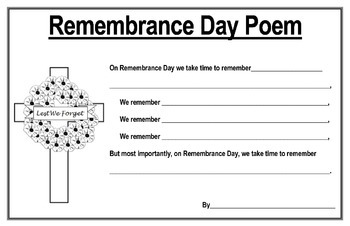 This poetry template is one way for them to do that.